The bad economy has been good for the legacy of Ayn Rand, the high priestess of me-first capitalism. 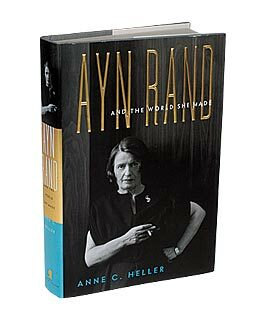 Heller's authoritative biography of the controversial novelist-philosopher explains how Rand managed to attract a cult following (including former Fed Chairman Alan Greenspan) that continues to thrive long after her death in 1982. Heller's writing, academic in its thoroughness but novelistic in its flair, reveals a life every bit as strange and enthralling as Rand's blockbuster novels, The Fountainhead and Atlas Shrugged. A new generation of conservatives, including Rush Limbaugh, have rallied to her cause. In Rand's world, bailouts are for wimps. Heller's book will tell you why. See pictures of Federal Reserve Chairman Ben Bernanke's office.